Fishers, Indiana is a thriving city just northeast of Indianapolis. One of the fastest-growing areas in the nation, Fishers is one of the most family friendly areas in the Midwest. It has consistently been recognized for its safety and healthy lifestyle and has been recognized as one of the “Best Places to Live” in America. And it’s no wonder. Fishers combines a small-town feel with easy accessibility to Indianapolis. Fishers boasts excellent schools, beautiful parks, and events that foster a strong community feeling. Fishers has also committed significant resources to redevelop and revitalize its already-strong downtown area. The Mills Team has helped many families find the perfect Fishers home, and we’d love to do the same for you! See Fishers Listings. 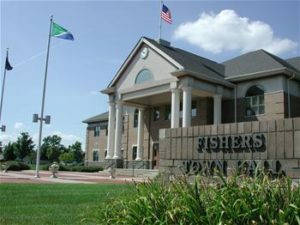 Fishers is known for its parks and healthy lifestyle. Fishers has miles of walking and biking paths, making it one of the most cycling friendly areas in the state, and making it a very walkable city. You’ll also find plenty to do in Fishers. These are a few of our favorites. This is just a sampling! If you think Fishers might be right for you and your family, contact The Mills Team today! For even more information about Fishers, click here.